I am born on November 7th in 1983 and live in Hafnarfjörður. My father is Lúther Þorgeirsson (born 1946), a retired sailor, and my mother is Bryndís Svavarsdóttir (born 1956), a theologian. I started in elementary school in 1990 when I went to Öldutúnsskóli in Hafnarfjörður and I was there until I graduated from there in 2000. One could say I was the nerd of the class since I focused more on studying than on my social life. In secondary grammar school I was kind of a forever student but graduated from Fjölbrautarskólinn við Ármúla in December 2005 with a major in IT and minored in Web Technology and earned roughly 180 study credits. 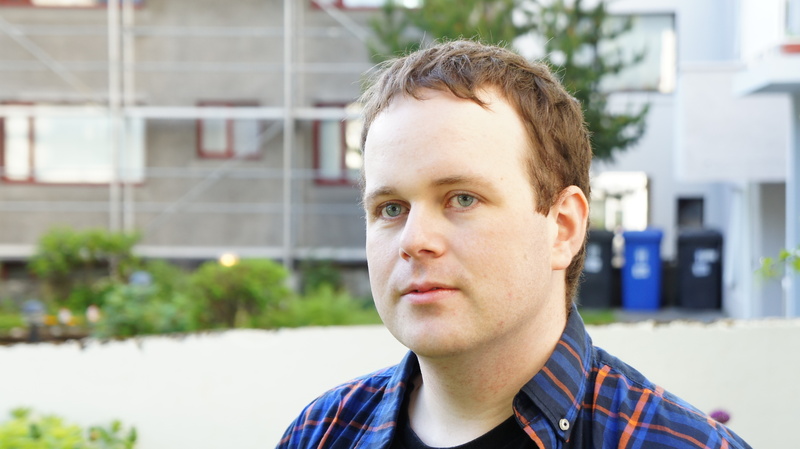 I enrolled in Computer Science at Reykjavik University in fall 2006 and graduated with a bachelor degree in 18th of June 2011. Some would say my views are extreme since I want to go very far in some matters and they would be correct. When it comes to matters regarding people’s rights I always lean on enhancing the rights extremely. However, I want to be realistic and do realise that other people do not hold the same extreme views I do. Even if I don’t get exactly what I want I would be gracious if the status moved a bit in my direction. As an example of my views that I care about is justice and especially human rights. Most of the important rights defined in the constitution have been lessened in the recent years and that needs to be corrected. Freedom of speech is very important and I think those who express unpopular views be the most courages. The right to practive a religion shall not be under unreasonable restrictions and the same applies to the right to not practive any religion. I’ve been and will try to uphold these rights and enhance them when I get the chance. As I’ve long upheld is that truth is the best speech as we say in Iceland. But that doesn’t mean I’ve never lied and never will; but when I do I feel bad. Among those reasons I tend to tell the truth even if it hurts me at the time. In the recent years I’ve had two major engagements. The former started in the year 2006 when I applied to add the middle name Kjarrval and it wasn’t until December 2009 that I managed to convince the Human Name Committee to allow the addition. The latter was started in November 19th 2007 by four copyright groups with a injunction on the website torrent.is. After a costly fight in the District Court and the Supreme Court it ended in February 11th 2010 with their victory. In my life I’ve been a part of many societies but the connection vary in strength. I’ve focused on my independence, though, from those societies i.e. that the societies don’t control my views but I’m in them because we share a common purpose. In the middle of the year 2010 I started to have suspicions that I had Asperger syndrome and a short time liter I admitted to myself that I had it. After diagnosis by a psychiatrist he confirmed by suspicions along with depression and social anxiety. I then applied for Disability Benefits which was accepted without comments. Armed with this diagnosis I’ve been working on getting rid of or lessening the negative attributes of it. We’ll see how that will work.